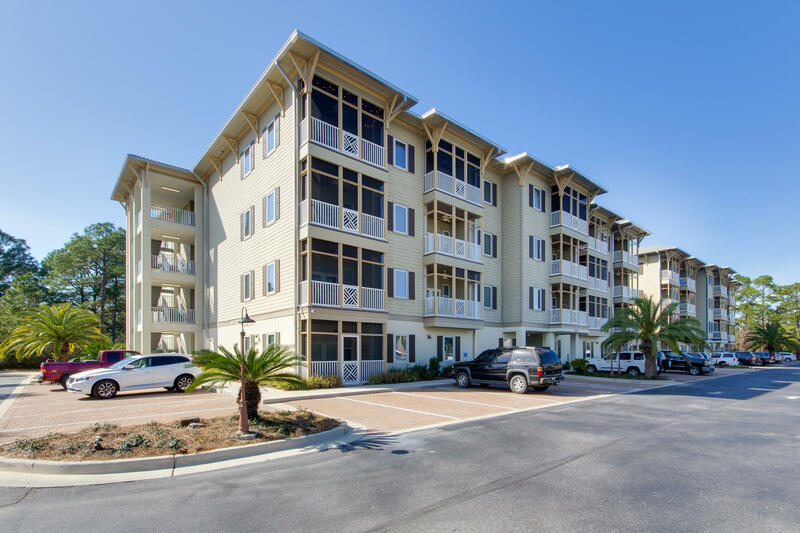 Tailor-made for vacations, this bright and breezy condo at Seagrove Highlands is just off Scenic Highway 30A. It is just a 5 minute stroll from the sugar-white sand and emerald Gulf waters that South Walton is known for. Decorated in calm coastal colors with beach-themed accents, this third floor corner unit has an excellent floorplan. The master suite is buffered from two further bedrooms by the spacious open-plan great room. Two closets in the master provide ample storage. Indulge in a bubbly soak in the tub or freshen up in the separate walk-in shower after a day at the beach. The second bedroom has a queen bed while the third equally spacious bunk room comfortably sleeps three.